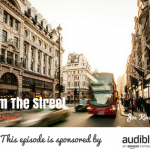 As you’ve probably noticed, we’ve done many episodes on prospecting because it’s one of the things salespeople find to be challenging. Either they don’t know how to do it or they just don’t like it. 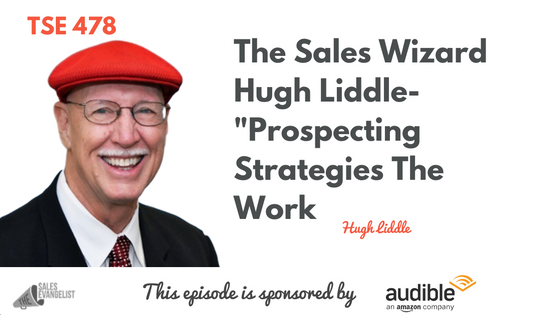 Today’s guest is “The Sales Wizard,” Hugh Liddle, who is an expert sales trainer. He is going to share with us how we can better improve our prospecting skills and come up with an effective process to do it. Hugh works with business owners and help them double their income in 90 days or less, which is actually attainable provided they do the things they need to do. If you’re scared to ask for a sale or a referral and if you’re afraid you’re going to bother people or people will look at you as being pushy and aggressive, then you need to learn the skills and the right words to say to enable you to be great at sales. Why the fear of rejection? Sales has been done so badly for so long that it has created a bad reputation. People are still afraid of being perceived the old way. People are afraid of what other people are going to think about them. Change your “what if’s” from negatives into positives. Know what to say and when to say it to build confidence in your conversations because people will feel your energy. Research is important but there are things about client that you don’t know and you will never know unless you ask them. Get down on the emotional level of people. People buy emotionally, not logically. They don’t buy with their heads, they buy with their hearts. People buy based on emotions and then they justify the purchase by logic. How do you do this? Ask good, open-ended questions. Ask them how they feel about a particular situation or how it’s impacting their life. Make your content about what’s in it for the prospect. Make your prospecting or sales conversations about what’s in it for them and what’s going on for them emotionally. This is one of the best resources you can use especially when you’re selling B2B because most high-level executives are all on LinkedIn because it’s designed to be a business-oriented site. Narrow down your search to your ideal clients. Put in the zip code (if you want to tap into people in a particular area) or other filters such as income level, etc. to narrow it down to your ideal clients. Click search and then LinkedIn gives you a whole list of people who fit that criteria. Send them a connection request. Do not send the default request but make it personal. Bring value first. Don’t be in a hurry to sell. 1st contact: Don’t sell them anything when you send out your first message. Send them something nice. 2nd contact: Ask them to chat with you for a few minutes so you can get to know them better and so you can refer them better. 3rd contact: Ask them to talk about how they may be able to double their sales and their income. People need a little time to really find out who you are so you need to take some time and effort to find out who they are to find some common ground with them. Build your credibility while bringing value to people. Write a short article that is informational and post it as a blog on LinkedIn. Every time you make a new connection, send them the article as a gift. An article written by you establishes your credibility. If you have written book, send them a free PDF as a thank you or welcome note. This makes you an industry expert in the eyes of your readers. Don’t be afraid and let things stop you from being successful. Don’t try to wing it or figure it out all by yourself and get with Donald or with Hugh or with somebody else that you know, like, and trust and get some help. Get some coaching so you can see things at a different angle and gain new strategies and ideas. Get connected with Hugh on bit.ly/HughsCalendar and schedule a free 1-hour appointment with him.